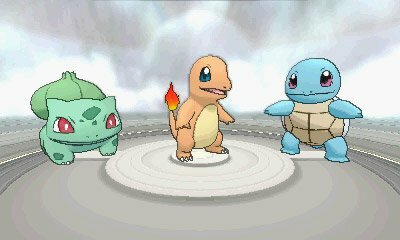 When you finally meet Professor Sycamore in Lumiose City, you will also get the choice of one more starter Pokémon, the Kanto starters: Bulbasaur, Charmander and Squirtle. 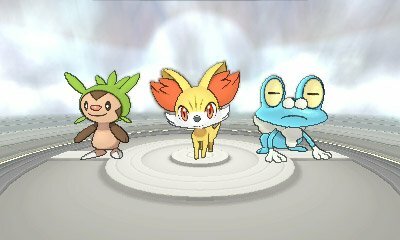 These Pokémon have the ability to Mega Evolve into Mega Venusaur, Mega Charizard and Mega Blastoise respectively. This Lucario was one of two Lucario owned by the Shalour Gym Leader, Korrina. However, when she keeps bumping into the player character, Lucario starts to grow a bond with them. 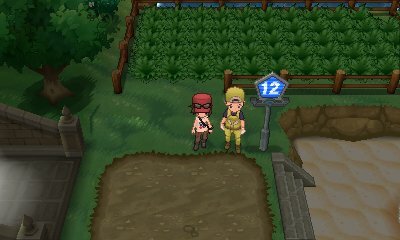 Over time it continues until the player learns about Mega Evolution. 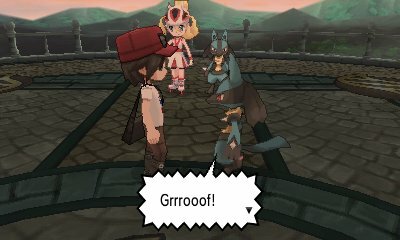 After a test battle, Lucario VS Lucario, Korrina gives the player this Lucario. Upon entering Route 12, you can speak to a person near the gate who will tell you that this Lapras once saved his life, but he feels he can't look after it anymore, and asks you to take it. If you say yes, it will join you. Like all Lapras, it has the unique identifier of appearing on the overworld when you're surfing.